Another giveaway for Halloween! Have you heard of this online store called Shopbop? It has one of the best selection of brands like Canfora of Capri, Donna Karan Casual Luxe, Philosophy di Alberta Ferretti and many more! I’m sure once you see the items there, you’d want to shop your heart away! LIKE Shopbop on Facebook and follow them on Twitter. This contest is international so foreign readers are welcome to join. Deadline for entries is on Nov. 12 at 11:59 PM. No multiple entries please! The winner will be announced here the following day. Good luck everyone! Visit the Shopbop blog to know more about the store! hi, i love shopbop! All done, my FB name Radmila Ustych, twitter @radmilamila, bloglovin – Radmila. yey, just in the nick of time! hi camille. why can’t i follow shopbop on twitter? Follow on Twitter and Bloglovin’. Thank you for he chance! yihee!I want that shop shop! I joined the giveaway! love it! Join my first big blog giveaway on http://superkape.wordpress.com! 23 fashion and beauty goodies up for grabs! Finally it’s a giveaway that foreign readers can join, too! I’m trying my luck! oops forgot to include my twitter name on my last comment sorry! Hello! Wow. Haha, another give away. Sana ako makakakuha. :))) Godbless po Ms. Camille. 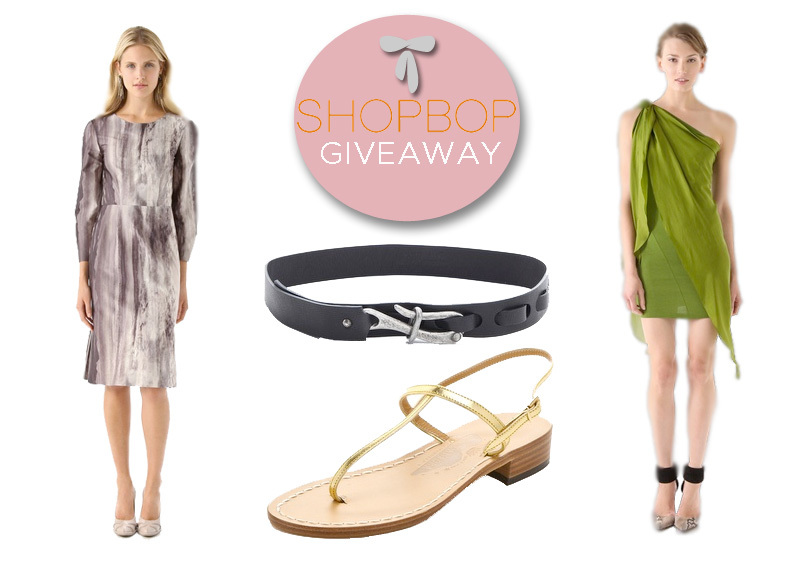 i am following shopbop also on twitter and i have tweeted about the contest. ShopBop is just sophisticatedly AWESOME! -I follow Shopbop on Twitter and “like” their FB page.